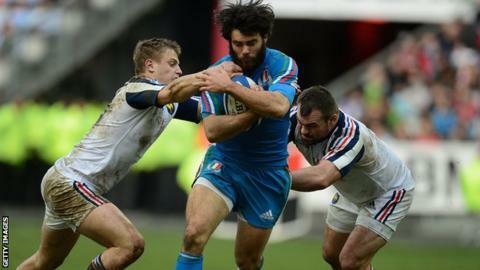 Italy international full-back Luke McLean will join Sale Sharks from Treviso at the start of next season. He will fill the gap left by Rob Miller, who is joining London Wasps. The 26-year-old, who was born in Australia and has won 56 caps for Italy, is the fifth new signing confirmed by the Premiership side. Chris Cusiter, Nathan Hines, Alberto de Marchi and Darren Fearn will also link up with Sale, who host Leicester Tigers on Saturday, next term. "Luke is an exceptional international full-back. He is a genuine 15 and great under the high ball," director of rugby Steve Diamond told the club website. "Luke will bring a lot of experience with him and will compliment and help push our standards. "We have now brought in four internationals to replace the lads who are leaving. Luke is also a very competent goal kicker."